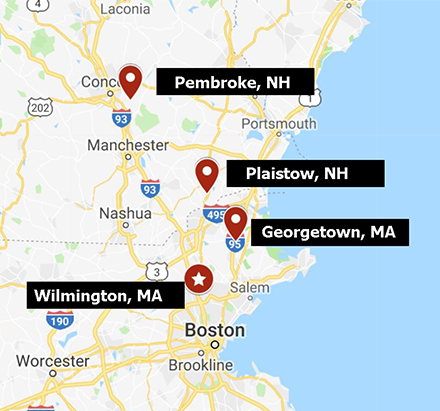 Benevento Companies plant locations are some of the most strategically located plants in the industry. All plants are convenient located very close to the major interstate highways I-93, I-95 and I-495. For driving directions to our locations, simply click on the locations label on the map.